Are you interested in growing grapes on your property and want something other than a fence or a wall for the vines to grow on? A great option is to build your own grape arbor. This is really easy and can be done by using a few pieces of wood. Grapes need something to grow on for support. A grape arbor might just be a perfect structure that is really easy to build. All you need is a hammer and nails, but screws may be a better option. The top of the arbor does not need to be a piece of lumber either. 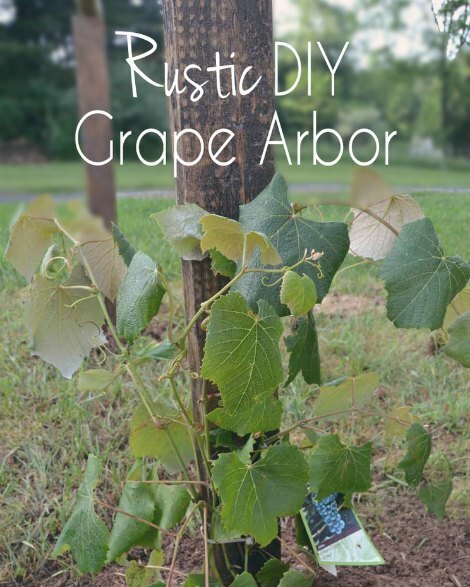 A tree branch can even be used for the top bar of your grape arbor. You can easily attach a branch using twine or rope. The addition of brackets is also an idea based on the design you use for your arbor. This is a great way to have something that is completely rustic.